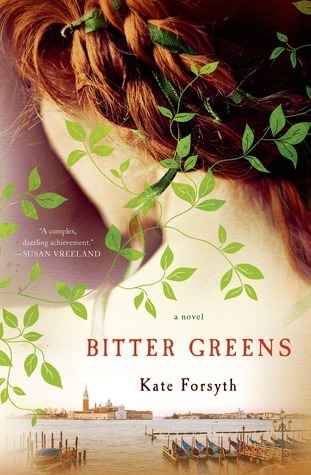 I am so honored to be included on the tour for Bitter Greens by Kate Forsyth. This book was breathtaking and one of my favorites of the year (and all time really). I will read anything (and everything) Forsyth writes. If you enjoy retellings or historical fiction with adult themes you will love this book. Go forth and read! 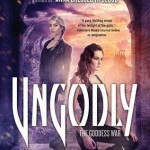 Today I have my flail ridden review and a giveaway provided so kindly by the publisher. This is an adult book so has mature content. This book was breathtaking and I have failed to find words to adequately describe how much I enjoyed it. I’ve sat on my review and notes for over a month attempting to figure out how to convey my emotions while reading. I can’t promise this will be coherent but I can say that I loved this book. I went into it knowing only that it was an adult fiction retelling of Rapunzel. I was not nearly prepared for the epic and historical scope of what I was getting into. Bitter Greens was written as a story within a story. We start first by meeting Charlotte-Rose and her banishment to a nunnery. Forsyth took me on a journey around France and Charlotte-Rose’s story and life. She was based upon a historic character that I had no knowledge of so I found this story to be incredibly intriguing. The setting was expertly done and I was easily transported to the Sun King, Louis XIV’s court. It’s clear that Forsyth did her research to be able to convey the world and characters so realistically. The characters are the driving force behind this novel. Each was complex with incredible depth and motivations. I loved that we saw multiple view points, even that of the villain. The fact that the villain’s story had be at the edge of my seat and nearly crying for her was incredible. Along with the historical feel we also have a very in depth and compelling retelling of Rapunzel. I will say I think this book was the most researched and best done look into a classic fairy tale I’ve read. As I stated above, this review has been an ongoing struggle for me to write. It is not often that a book has left me completely speechless but this one did. If you like adult historical fiction, retellings, character driven stories and complex villains then Bitter Greens would probably be for you. Complex characters, a good setting and it’s a retelling from Rapunzel, I need this book 😀 I’ve had it on my wishlist for a while now, but it’s time that I also buy it. Soon! I love ones that are written as a story within a story and I do love Historicals, and sounds like the Rapunzel retelling aspect was written well. Does sound like it was well researched too for such an authentic feel (that’s sometimes my problem when within a historical setting, it either feels authentic or don’t.) And of course, I love character driven stories. I don’t usually read that much Adult, but definitely checking it out. 🙂 Glad you loved it! If you like all that then I think you’ll enjoy this one! It does have mature content and a bit slower pace than some young adult novels but it was never ever dull to me. I really would love a great Princess and the Pea retelling. Thanks for the lovely review. I’ve been looking forward to reading this one for awhile now. Princess and the Pea doesn’t get enough love at all! that would be a really interesting retelling for sure. I hope you love it Bonnie!! I would love to see Kate do something with The Little Mermaid. I feel that the majority of mermaid books I read are bleh. I’d love a great one. Definitely the Princess and the Pea. I think a modern spin would be very interesting!! This book is sitting on my dresser staring at me i cant wait to read it but my TBR is running my life right now its definely getting snuck into rotation sooner rather than later. glad u enjoyed it! Historical fiction and a fairytale in one is like my dream book! I hope you love it Brittany. Please let me know when you read it…I want to hear your thoughts. I totally relate to the TBR pile running life. I love that cover!!! Ummm… I think that if I had to pick, I’d say Little Mermaid too 🙂 Thanks for sharing! Little Mermaid would be amazing. You know I’m not the biggest fan of fairy tale retellings but this one, this one I already got for my Kindle as soon as you finished it actually and recommended it to me so highly! I hope I can get some time to read it and enjoy during my upcoming vacation, I have such a love for historical fiction! Beauty and the Beast can never be done too much. I absolutely love it. Aw, I hope you find one you enjoy at some point. 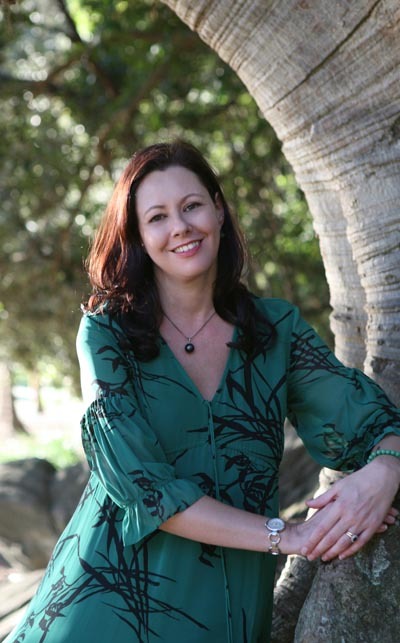 Hopefully you like historical fiction? Yay! I hope if/when you read Bitter Greens you love it! I would love a retelling of Thumbelina by Hans Christian Anderson. Thank-you for this stellar giveaway. It’s pretty heavy and the content is adult for sure. I’d love to see Kate Forsyth write a YA. I would SO be behind Babayaga! that would be an amazing story and wow. great choice. Oh wow this sounds like a wonderfully written historical. I love it when the author is able to really transport you into the setting. It’s why I love historicals when they’re done well (like Cat Winters). And character driven is a MUST for me for this genre. I love how much depth and substance these characters seem to have! I hadn’t heard of this one before but I’ll def be keeping an eye out for it! Lovely review, hun! Thank you Giselle! I think you’d enjoy this one especially since you love Cat Winters too. Kate Forsyth is an amazing writer and this story was so complex, heartbreaking and beautiful. I have read so many excellent retellings, but I would love to read a retelling of Bluebeard. That story is already really creepy, and a retelling could take that darkness and just run away with it! Have you read the Kurt Vonnegut Bluebeard retelling? It is such a creepy story generally speaking. I’d love to see another reworking of it. Oh! I don’t know about either of these. I’ll be looking them up! I don’t think there can ever be too many Beauty and the Beast retellings. I’m so happy to see that this book is going to be published in the US! I feel like I’ve had this book in my to be read list for the longest time and half feared I would never get a chance to read it unless I physically went to Australia to purchase this book. The fairy tale I would love to see retold would be “Beauty and the Beast”. I have read many beautiful retellings in the past year and wouldn’t mind reading more! Crystal! I hope you LOVE it. I am so excited about The Wild Girl up next for US release. I’m with you Holly! I love all retellings and Beauty and the Beast in particular. There are several Italian fairy tales that I would love to see retold! Nice! I’m not versed in Italian fairy tales. Perhaps a retelling of an Asian folklore.